See more, play more, experience more. No glasses. No contacts. No hassles. Freedom to enjoy life in new ways. Fumbling to find glasses to see the alarm clock? Shuffling between reading and distance glasses – and losing them? Weary of contact lens care and the discomfort lenses sometimes cause? LASIK eye surgery is clearly better! Realize the benefits of better vision immediately after LASIK. You’ll be back to your busy life the next day – only better! experience more with LASIK now! Do you want to see distant objects more clearly? Do you struggle to read restaurant menus? Are you lost without your glasses or contacts? Treatment will depend on your personal goals. 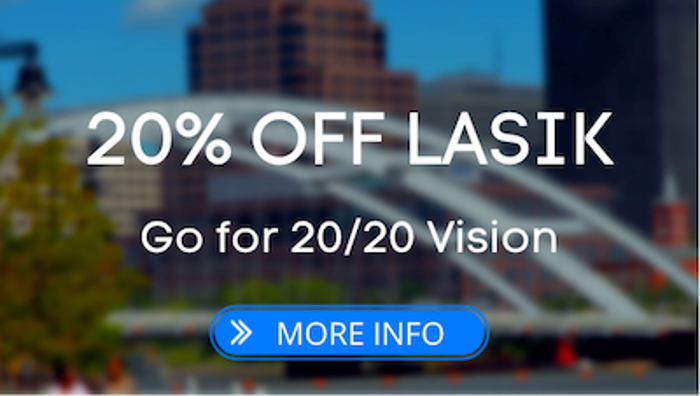 The Best LASIK Technology available performed by the Best LASIK Surgeon in Rochester. At your first appointment, you’ll meet your surgeon, Dr. Kenneth Lindahl. He will examine your eyes to diagnose the best treatment for your vision goals. 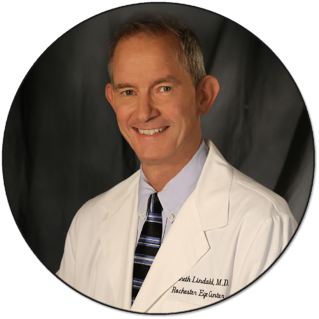 Dr. Lindahl trained at the University of Rochester and has more than 25 years’ experience with cataract, laser, corneal and refractive surgery. Dr. Lindahl has personally had bilateral LASIK surgery. 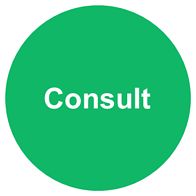 Determine if you are a good candidate for LASIK in a free consultation with Dr. Lindahl. This is the most important step if you’re considering LASIK. Once you’ve been approved for LASIK, we will set your surgery date, answer further questions, and review the results of our advanced diagnostics to map custom surgery for each eye. When you are comfortably settled and prepared, Dr. Lindahl will start your procedure which will take just 10 minutes per eye and is virtually painless. You’ll be ready to return home shortly after surgery, but have someone available to drive. You should experience no pain, notice better vision within 2 hours, and most patients return to work the next day. ...but you'd be surprised by the recent advancements in technology! Deciding if LASIK is the best treatment option to help you achieve your vision goals sets you well on your path to clearly better vision! Take our FREE assessment to see if you are a potential candidate for LASIK® Laser Vision Correction by clicking the button below. Is it difficult to recognize people from far away? Are you having trouble reading road signs while driving? Do you rely on glasses or contacts? Do you have trouble with both distance and reading vision? Are you managing multiple pair of glasses or contacts to see anything? Feel like you never to have the right glasses with you? Is it a hastle to read work screens, menus at restaurants, or text on your phone?